Profitability was positively impacted by higher sales, improved capacity utilization in the industrial system and again from the sale of Volvo CE's dealership in Great Britain. 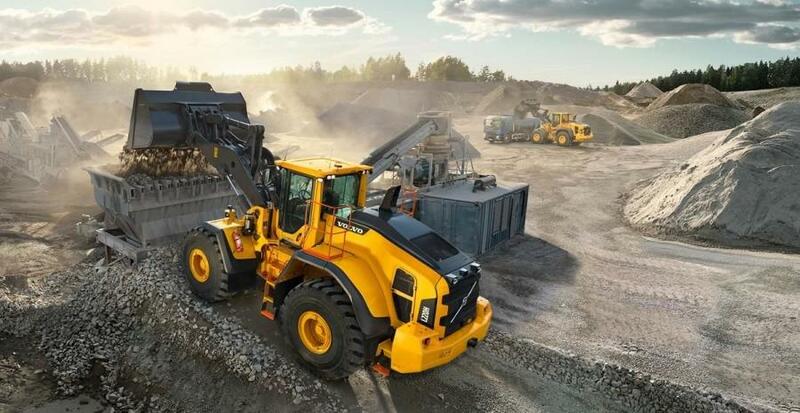 Market share gains in key segments coupled with good cost control and growing demand in most markets helped Volvo Construction Equipment (Volvo CE) post an especially strong third quarter of 2017. This saw sales up 34 percent, order intake up 45 percent and delivers up 48 percent in the period, as well as a strong improvement in profitability. Adjusted for currency movements, net sales in the third quarter increased by 34 percent to SEK 15,091 M (11,539). Operating income also was strongly up, jumping 237 percent to SEK 2,024 M, up from 601 M in the corresponding period in 2016. This represented a significant step up in operating margin, to 13.4 percent (5.2 percent). Profitability was positively impacted by higher sales, improved capacity utilization in the industrial system and again from the sale of Volvo CE's dealership in Great Britain. Net order intake in the third quarter increased by 45 percent compared with the same quarter in 2016. This increase was largely driven by higher intake from China, as well as growth in other Asian markets and Russia. Deliveries increased by 48 percent, to 14,431 machines. Up to the end of August, the European market was up 15 percent, driven by the growth in the UK, France and Italy. The German market is slightly above last year, while the recovering Russian market is up 101 percent. North America is 7 percent above last year, due to growth in demand for excavators, both compact and larger general-purpose machines. The South American is 6 percent above last year but remains at very low levels. In Asia (excluding China) the total market is 12 percent above last year, with continued growth in India and Indonesia, helped by a recovering mining sector. The Chinese market is 74 percent above last year, with strong recoveries in both excavators and large wheel loaders. During the quarter Volvo CE produced its 75,000th articulated hauler. Having produced more than half the articulated haulers ever made, about 50,000 Volvo haulers are still in regular use around the world.